I was featured on Weezi! Oh, how nice! I just saw that I was featured on the Weezi Store's blog yesterday. Thank you, Lisa that made my day!! The Weezi Blog has excellent tips and how-to's about storing and washing your vintage sweaters and loads of crafty and vintage inspiration. 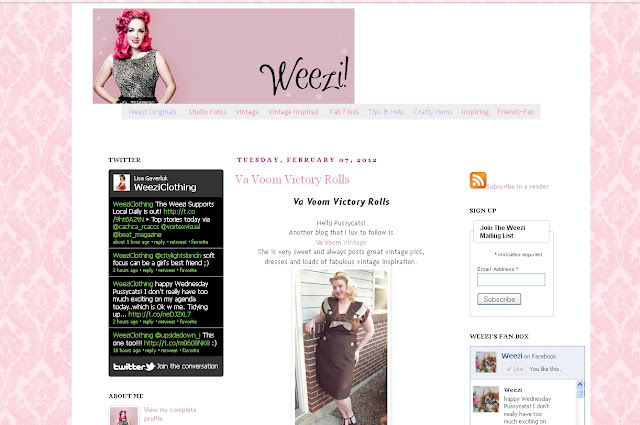 Be sure to visit the Weezi Store on etsy for beautiful handmade vintage-inspired clothing and accessories.